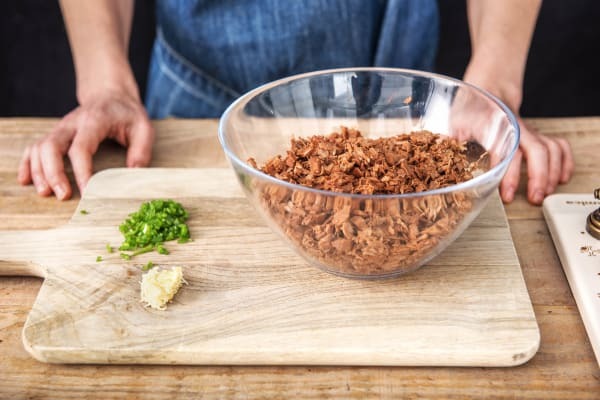 Jackfruit is a spiky fruit originating in Southern India which has a 'meaty' texture when cooked which is why many people use it to create plant-based versions of shredded chicken, pulled pork, or other meat-based recipes. 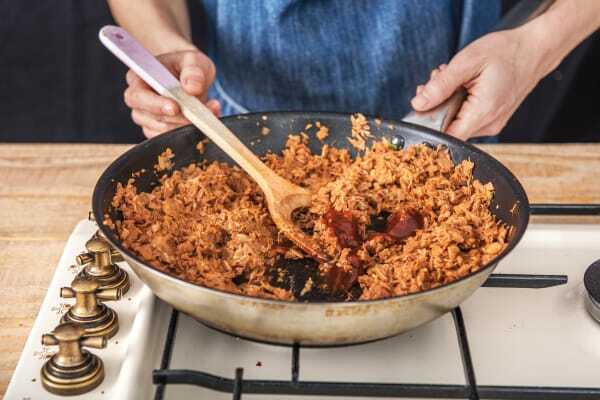 In this recipe, we've simmered young jackfruit in a smoky barbecue-style sauce until the texture is sticky and stringy. 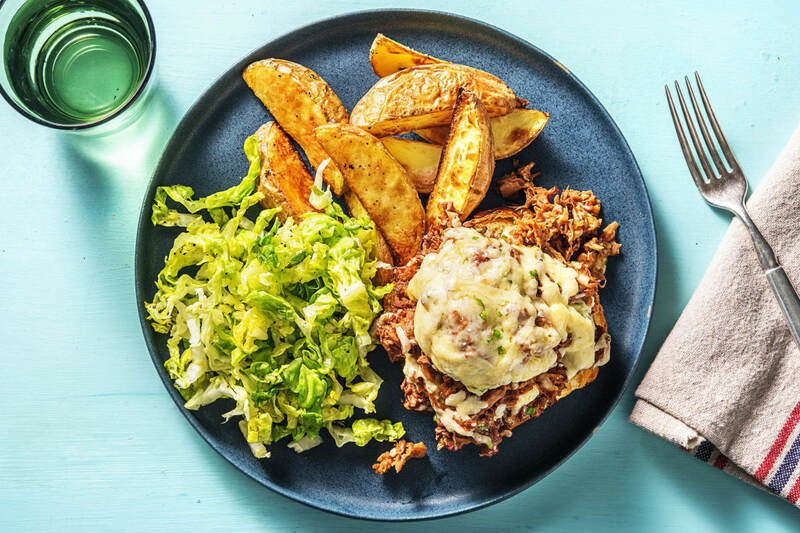 Divided between toasted burger buns, topped with cheese and served with a crunchy salad and chunky potato wedges, these jackfruit burgers are the ultimate vegetarian treat. Preheat the oven to 200°C. 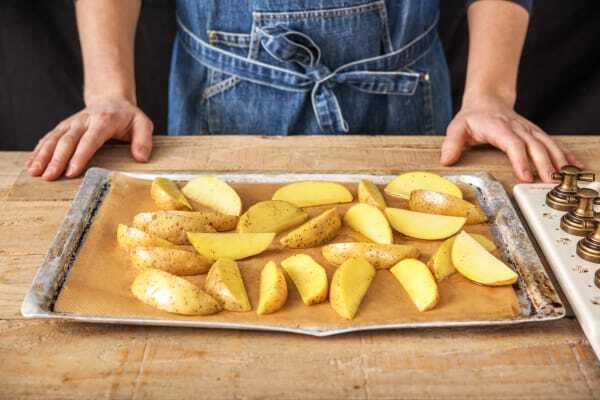 Chop the potatoes into wedges about 2cm wide (no need to peel) and pop on a large baking tray. Drizzle with oil and season with salt and pepper. Toss to coat then spread out and roast on the top shelf of the oven until crisp and golden, 30-35 mins, turning halfway. Meanwhile, halve the chilli lengthways, deseed and finely chop. Peel and grate the garlic (or use a garlic press). Drain the jackfruit in a sieve. 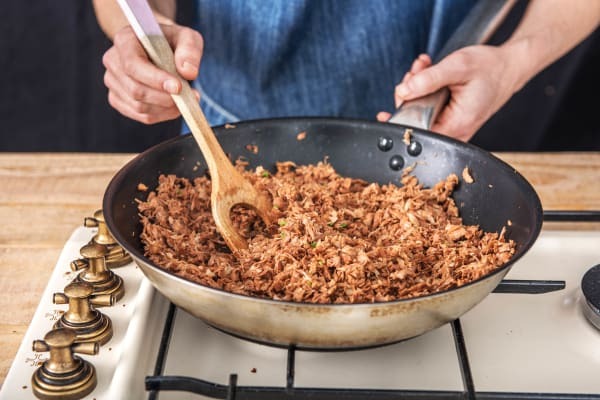 TIP: drain the jackfruit really well and pat it dry with kitchen paper to remove excess water - this will help it cook later! Heat a drizzle of oil in a large frying pan on medium heat. When hot, add the garlic and half the chilli and stir-fry for 30 seconds. Stir in the jackfruit and fry until starting to colour, 4-5 mins, stirring occasionally. Add a good pinch of salt and sugar (if you have some) then stir in the water (see ingredients for amount) and BBQ sauce. Lower the heat and allow to simmer until thick and sticky, 10-15 mins, then remove from the heat. TIP: Use a spatula or a fork to break down the jackfruit as much as possible into strands. Add a splash of water if it looks too dry. Meanwhile, trim the root from the baby gem lettuce, halve lenthways then finely slice widthways. Pop in a bowl with a pinch of salt and pepper and a drizzle of oil. Set aside - toss to coat just before serving. Grate the cheddar cheese. Halve the burger buns and pop on a baking tray, cut side up. Put on the middle shelf of the oven to lightly toast, 3-4 mins. 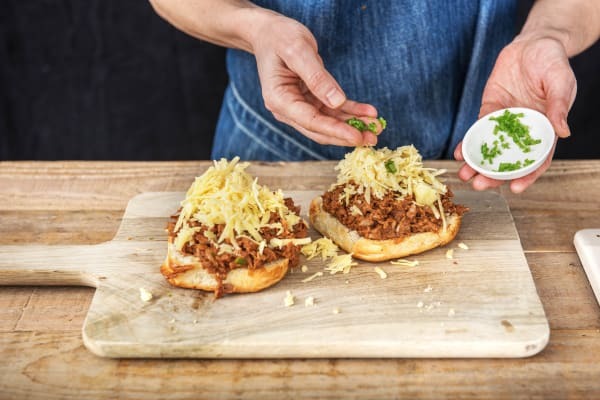 When the buns are toasted, remove the lids from the tray and set aside. Divide the jackfruit mixture evenly between the bases and top with the cheese and a pinch more chilli if liked. Return to the oven to melt the cheese, 2-3 mins. Serve the jackfruit burgers on plates alongside the chips and salad. Enjoy!